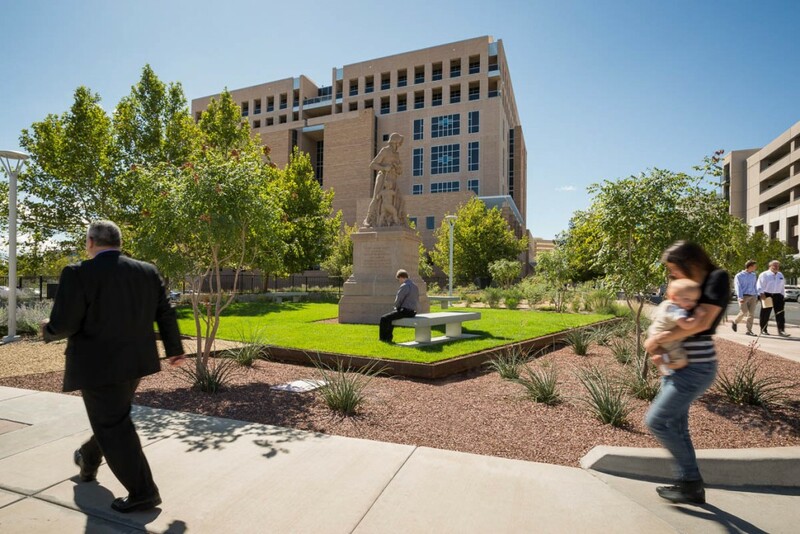 Due to successes, this project became certified as a Pilot Project for the Sustainable Sites Initiative (SITES), a new green certification program. 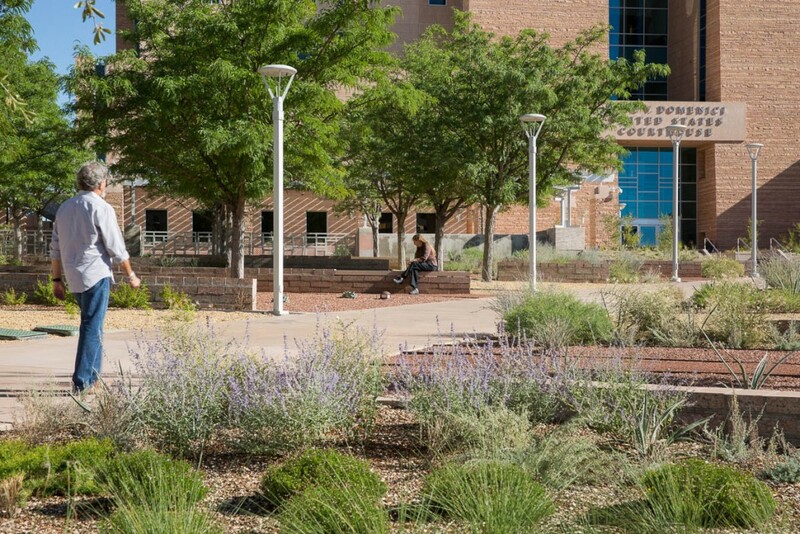 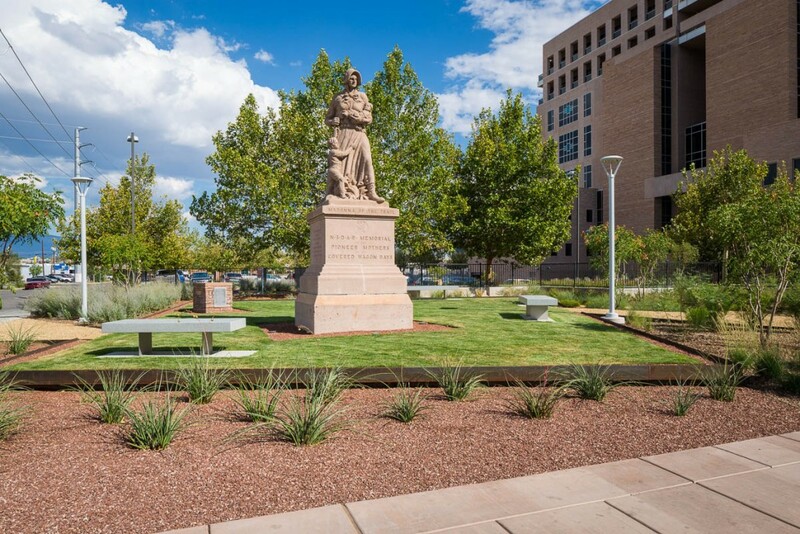 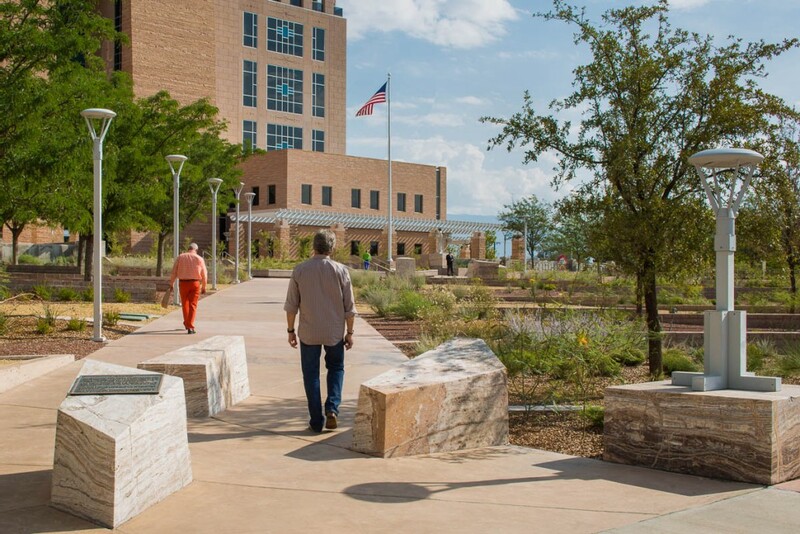 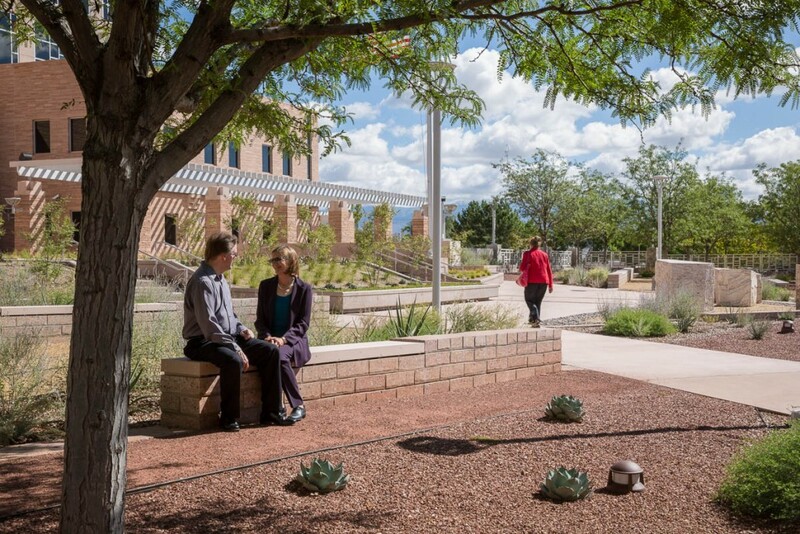 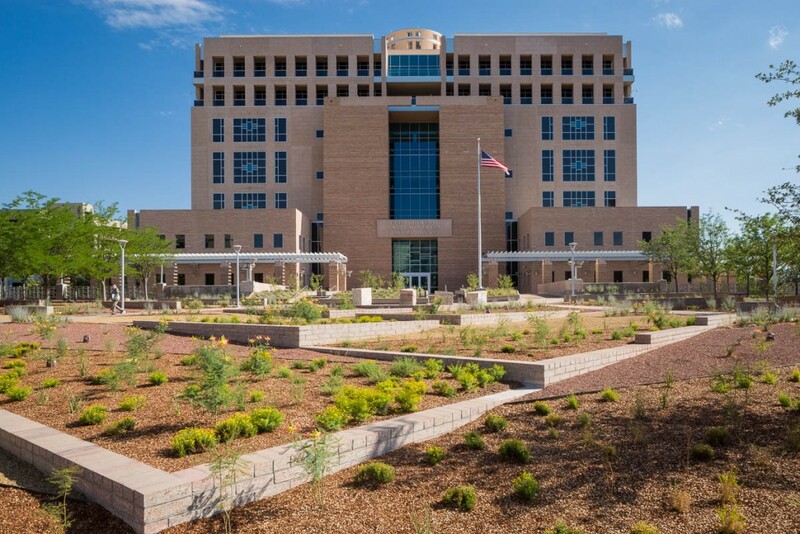 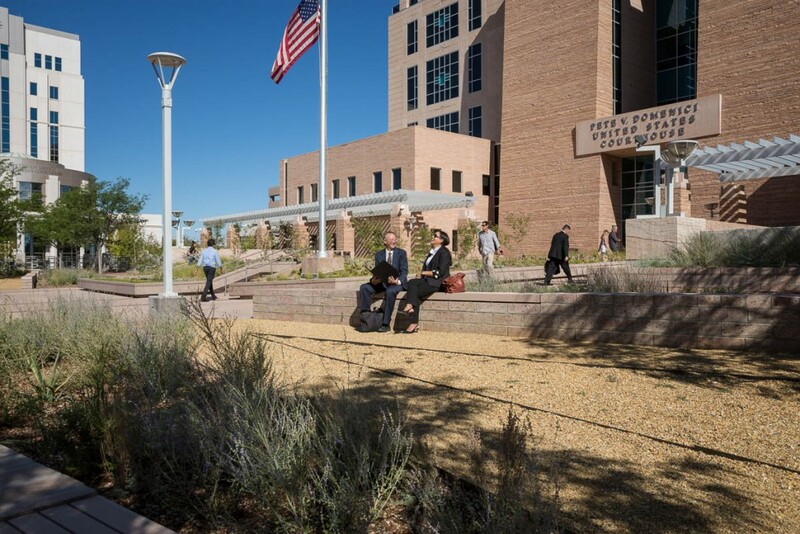 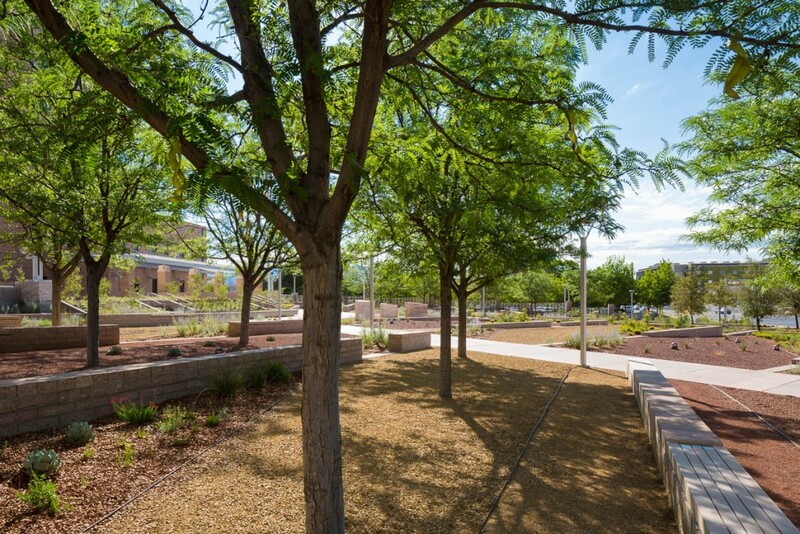 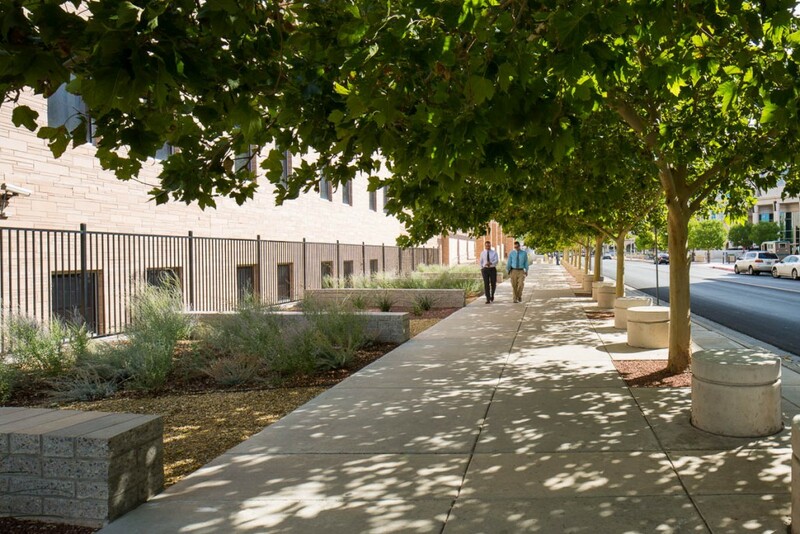 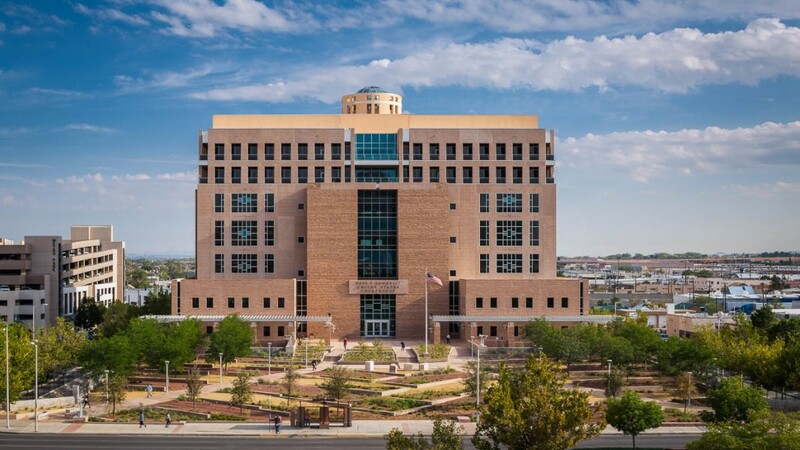 In 2010, the General Services Administration (GSA) challenged the design team to remake the Pete Domenici Courthouse Landscape into a model for sustainable renovations. 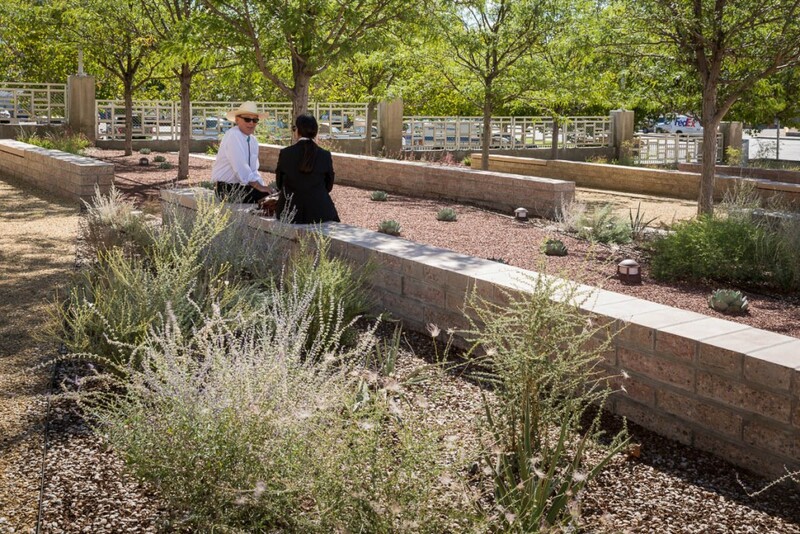 The integrated, multi-disciplinary team proposed a design that re-imagined and re-purposed existing site elements with sustainable strategies to create an exemplary landscape rooted within its context. 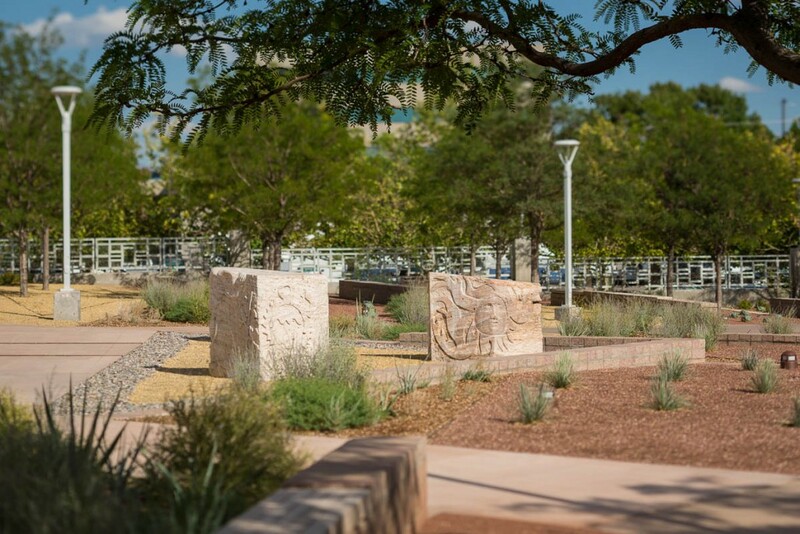 The diverse sustainability goals for the project addresses water, energy, materials reuse, habitat, history, accessibility and education. 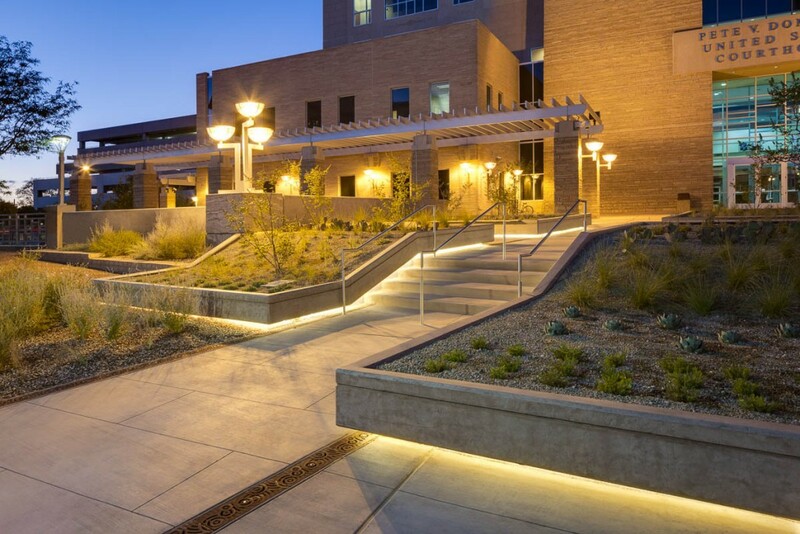 By far the most challenging aspect of the project involved the renovation of existing structures. 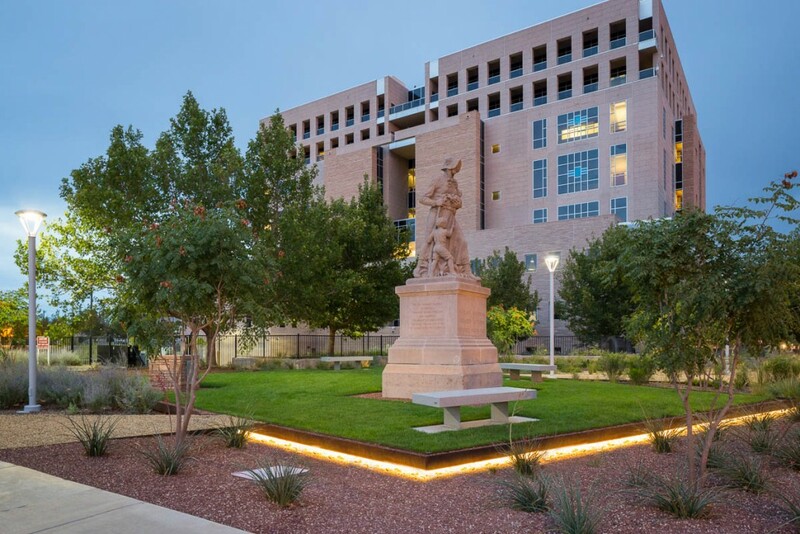 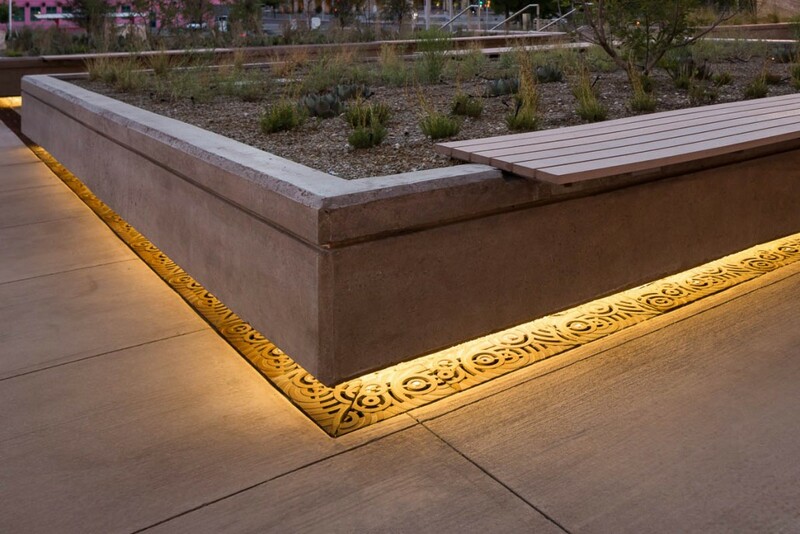 Concrete sidewalks were removed and re-purposed into seating area benches, plazas were created within planted areas, a below-grade parking garage was protected through use of new energy efficient planting beds utilizing geo-foam and other methodology. 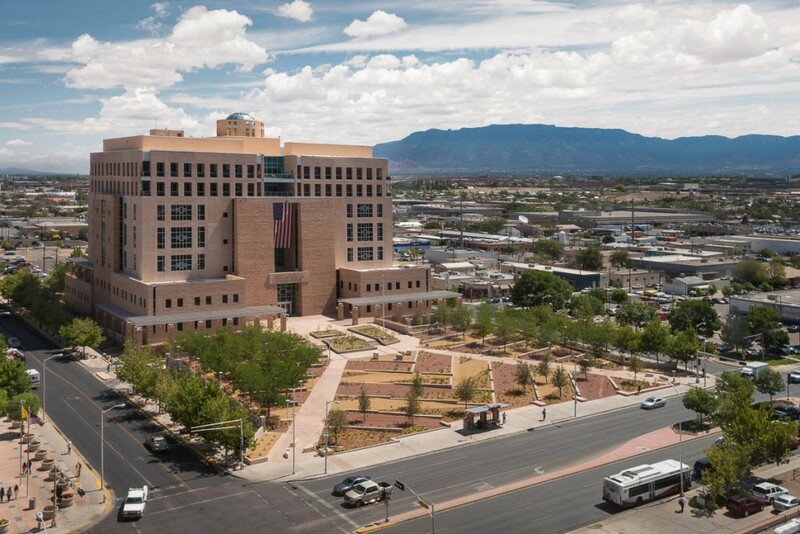 The renovation also capitalized on Albuquerque’s 300-plus days of sunshine to replace inefficient landscape lights with bright, efficient LED fixtures entirely powered by a 27.5 kwh array of new solar panels installed on the courthouse’s roof. 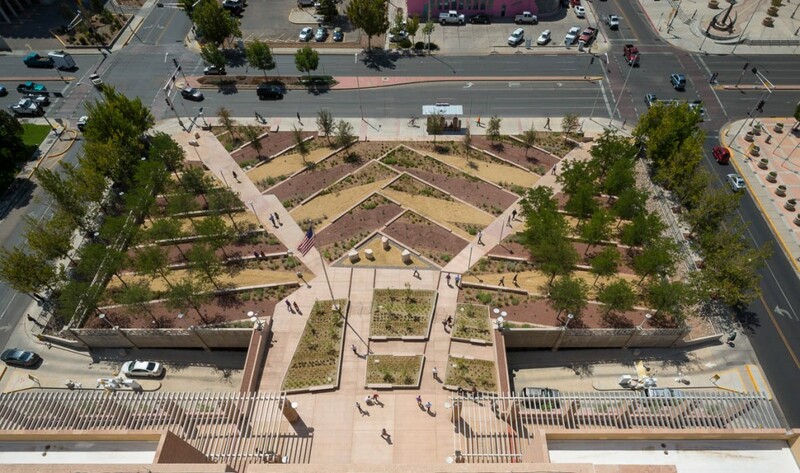 Due to these successes, this project became certified as a Pilot Project for the Sustainable Sites Initiative (SITES), a new green certification program. 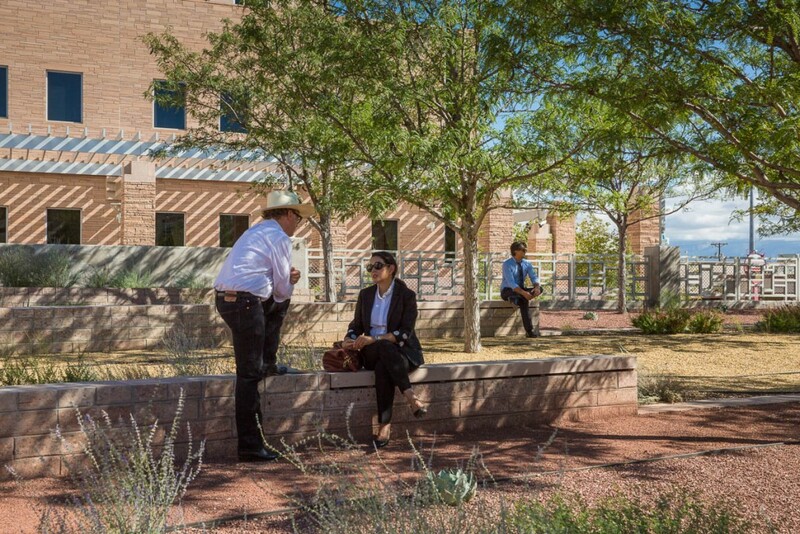 Similar to LEED, SITES was developed in 2009 specifically for landscape projects, and quantifies the performance of completed projects across economic, environmental, and social metrics, awarding achievement for excellence in design, construction and operations.